When Facebook released its Facebook Home software, which replaces Google's Android homescreen with Facebook photos and updates, many wondered how Google itself would react to its software being reshaped for the social network. However, the chief of Google's Android design now joins Google Chairman Eric Schmidt in praising Facebook's software designers. "The new Facebook Home shows an incredible amount of polish and attention to design detail, and that didn't come from a hardware manufacturer," Matias Durate, Google's director of Android Operating System User Experience, told ABC News. "With the Home experience, they did a nice job expressing the Facebook experience, but so much of the Google design experience with Ice Cream Sandwich [Android 4.0] was in there as well." Duarte said the fact that the Home software replaces a lot of the Android homescreen experience didn't bother him and stressed that the openness of Android allows phone makers to customize the design of the software. With Home, the front of the screen is taken over by Facebook's Cover Feed and there are some added messaging features, but below that is a clean version of Android. 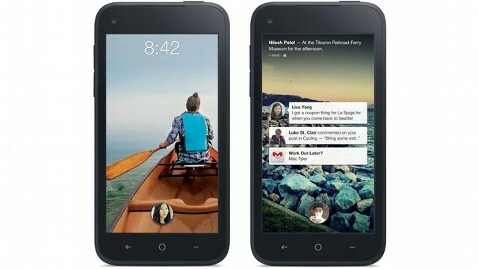 The HTC First, the first phone to ship with Facebook Home, also ships with a clean or stock version of Android. Other phone makers like Samsung choose to put their own design touches on the underlying Android software. For instance, on Samsung's latest Galaxy S4, Samsung has redesigned all parts of the software with different fonts and app icons. Duarte wouldn't comment directly on Samsung's Galaxy S4 software design, but said that he is generally excited "about a trend where people have more designers involved in their customizations of Android. The work we do with the Google apps fits more seamless with it." Today Google released its Google Now service for the iPhone and iPad, which brings some of the new clean design elements from the latest version of Android to Apple's iPhone and iPad. Google is expected to preview the next version of its Android operating system at its Google I/O conference next month in San Francisco.